This very rare find today, it's an American classic truck was born in pilothouse era where's mostly trucks has features a high-visibility cab with optional rear quarter windows, so we able to see around without hindrance, such as the fighter pilot cabin its era. But it's not, this a Dodge B-Series truck 1953 model year come with single rear window has been completely rebuild, but wait it's not original it only body frame they used. The original it's a 1989 Dodge Dakota Sport 4x4 truck come with the B-Series truck appearance. As you seen the truck looks perfect and very well condition like a new car ready for sale today. Come with perfect body frame, all looks great and straight with a new paint. Come with newly interior its looks good, had modernize steering and transmission, hope all instrument and indicators work well also. The engine not the original it looks younger, yes of course, because is a 1989 Dodge Dakota engine. 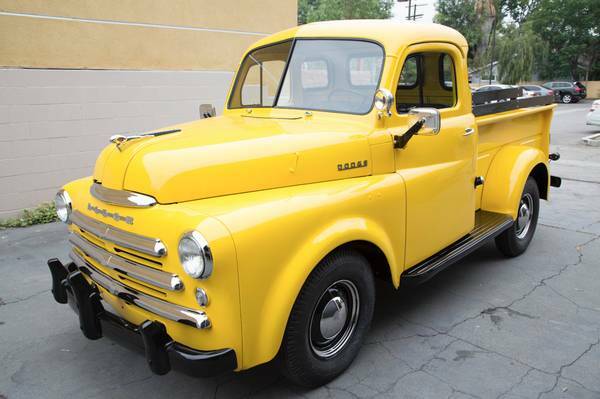 Overall its been a coolest outcome of the good finishing touch for the classic Dodge B-Series truck, asking $22500. 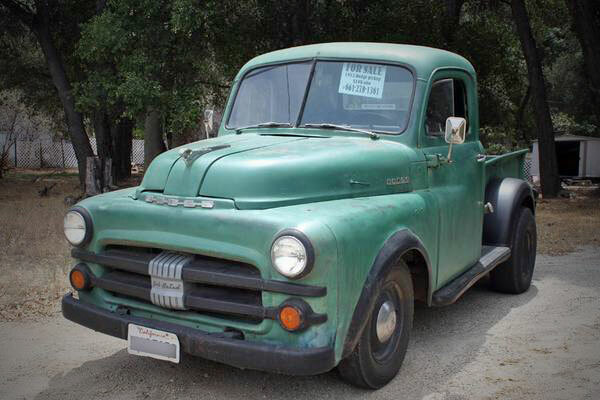 This rare American classic truck produced by Dodge, yes this a B-series also known as the Dodge Ram is a 1/2 Ton pickup truck were released in 1952 has 93K original miles still in original, runs and drives good condition, it could be a great start to restore. The pics as confirm, it a looks perfect with green patina look has straight body frame, no rust issue. The interior looks okay as hard worker, hope all indicators and instruments work well also. No engine photos to consider, must see to make sure. Overall is a nice original antique truck ready on trade today 1952 Dodge Ram 1/2 Ton Pickup Truck, asking $8500 location in Green Valley. 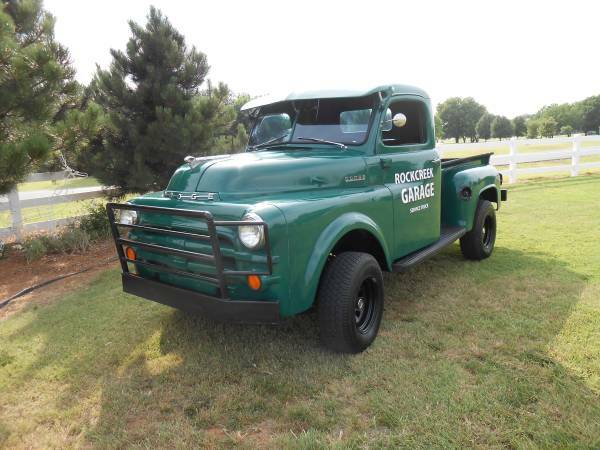 Here's American classic truck produced by Dodge in 1951, extremely rare today it's a B-series comes in green 1 Ton dually pickup truck has less than 500 miles since it underwent a ten year complete restoration. This truck is road ready it runs and drives smoothly.